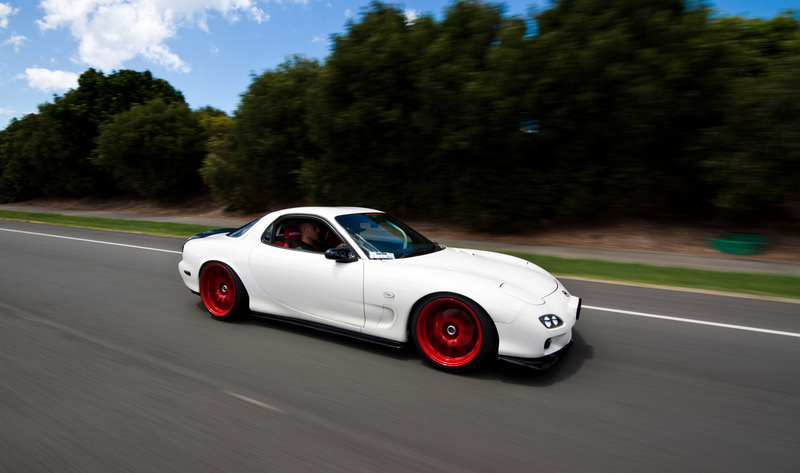 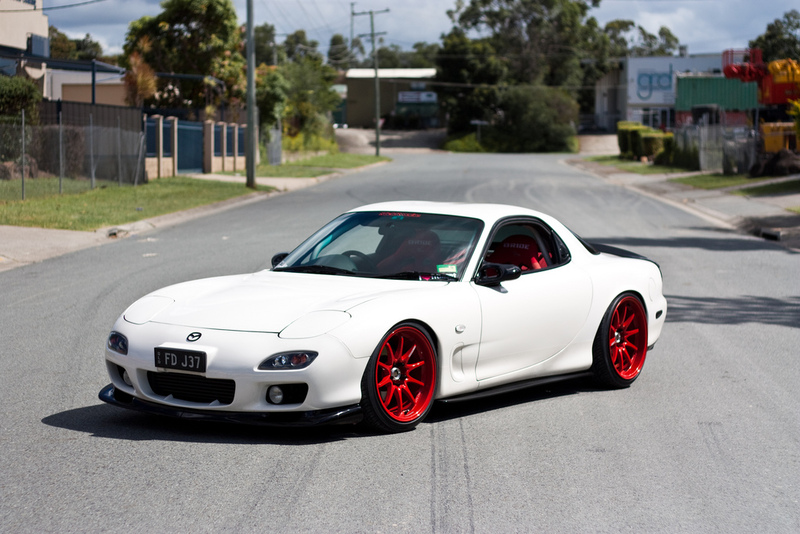 This is by far one of the most stunning stock-bodied RX-7 FD3S that I’ve seen…..EVER. 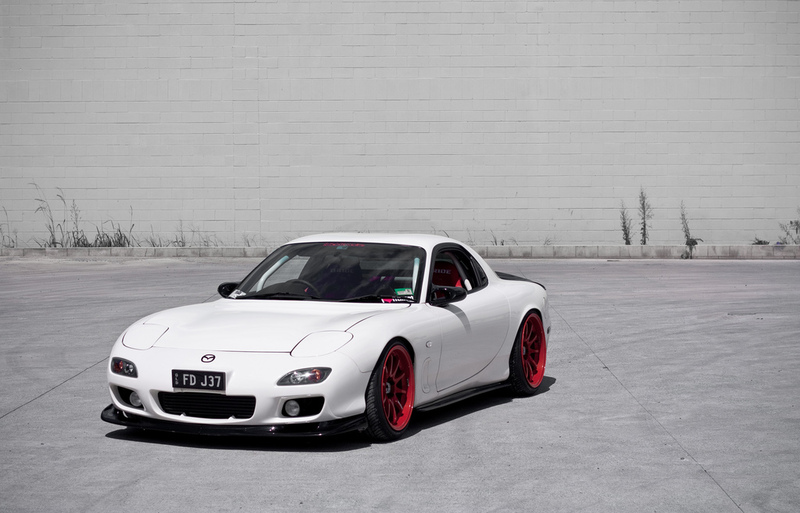 Something about this car is just so damn attractive! 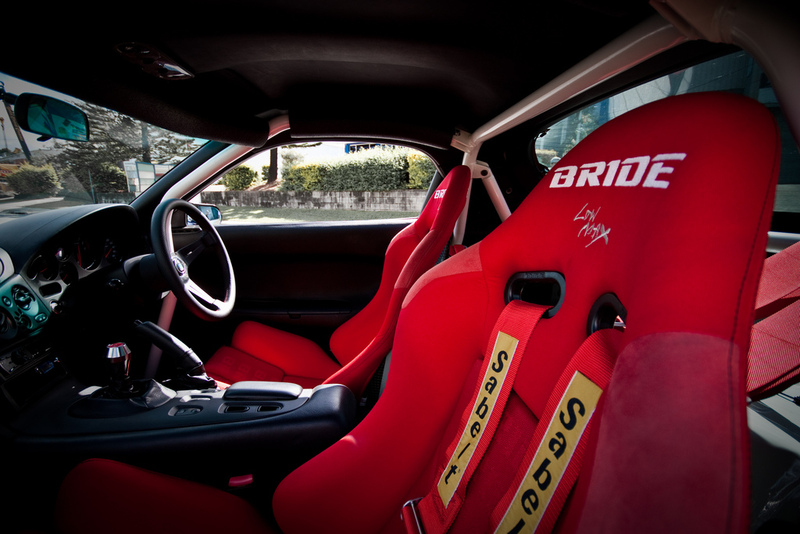 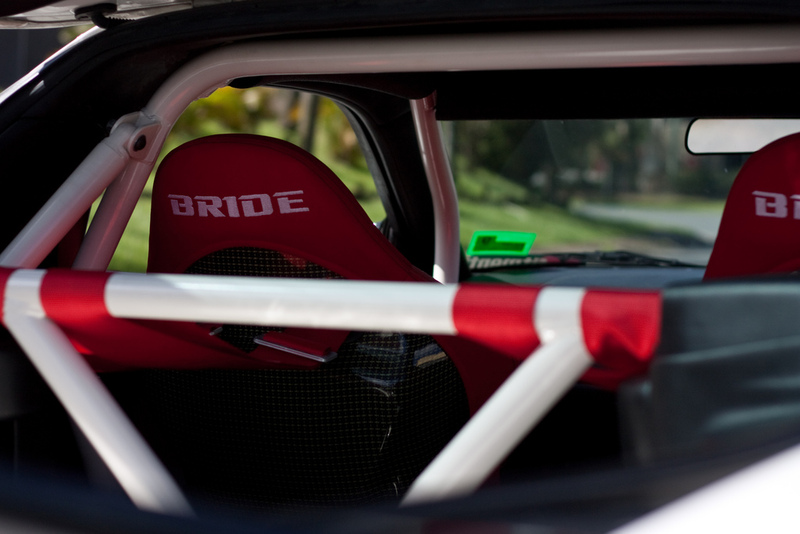 All the colors just kind of ‘Pops’ in your face, and I love how the colors are matching from the red Bride Gias’ to the red Volk CE28Ns’, to the white body color and white Cusco rollcage. 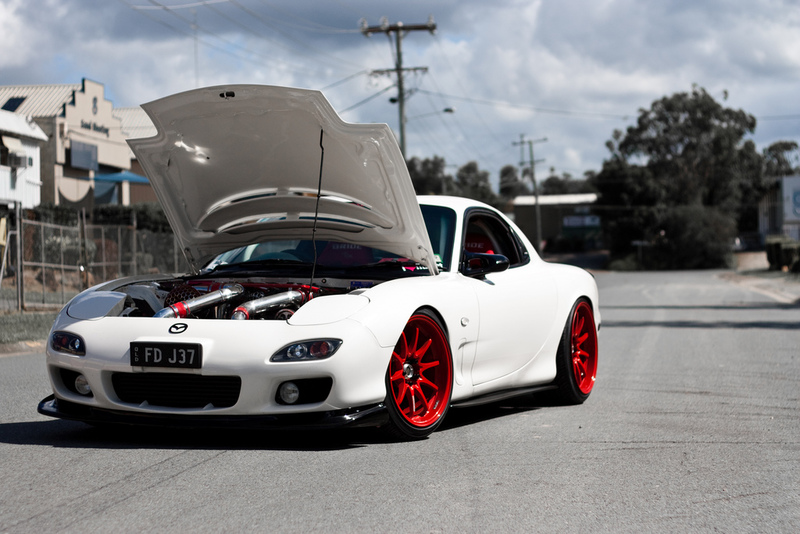 And to top off all this blingage, the car’s sporting a rebuilt 13B motor, equipped with a single T04Z turbocharger…..talk about zoom-zoom!